Vous pouvez également utiliser 4000 Kobo Super Points pour l'obtenir ! 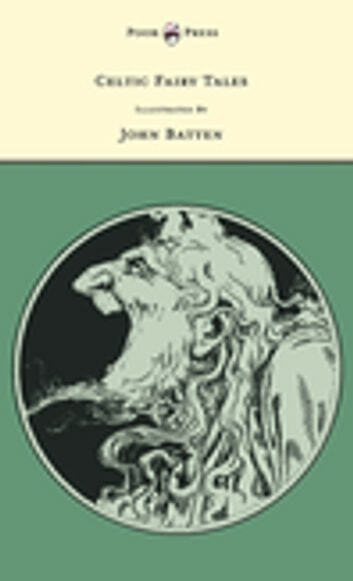 ‘Celtic Fairy Tales’ is a collection of twenty-six classic stories from British isles, collected by Joseph Jacobs, and accompanied by the masterful black-and-white illustrations of John D. Batten. It includes such tales as ‘Connlaand the Fairy Maiden’, ‘Guleesh’, ‘The Field of Boliauns’, ‘The Horned Women’, ‘Conal Yellowclaw’, ‘The Sprightly Tailor’, and many more. Heavily influenced by the Brothers Grimm and the romantic nationalism ubiquitous in his contemporary folklorists, Jacobs was responsible for introducing English fairy tales to English children, who had previously chiefly enjoyed those derived from French and German folklore. Beautifully illustrated by John D. Batten, these timeless fairy tales make for ideal bedtime reading and are not to be missed by collectors.John Dickson Batten (1860 – 1932), was a British figure painter, as well as a book illustrator and printmaker. He illustrated almost all of Jacob’s works, including, English Fairy Tales (1890), Celtic Fairy Tales (1892), and European Folk and Fairy Tales (1916). 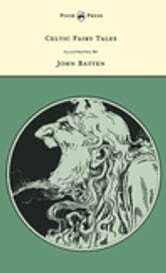 In addition, Batten is also celebrated for his delicately rendered imaginings of Arabian Nights and Dante’s Inferno. Presented alongside the text, his illustrations further refine and elucidate Joseph Jacob’s enchanting narratives.. Presented alongside the text of ‘Celtic Fairy Tales’, his illustrations further refine and elucidate Joseph Jacob’s enchanting narratives. Pook Press celebrates the great ‘Golden Age of Illustration‘ in children’s classics and fairy tales – a period of unparalleled excellence in book illustration. We publish rare and vintage Golden Age illustrated books, in high-quality colour editions, so that the masterful artwork and story-telling can continue to delight both young and old.